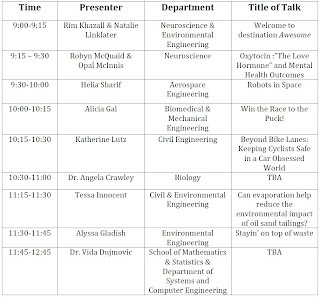 CU-WISE cordially invites you to the upcoming CU-WISE Women in Research event that is set to take place on December 6th, 2012 from 9 a.m. to 2 p.m. in room C264 of the Loeb building at Carleton! 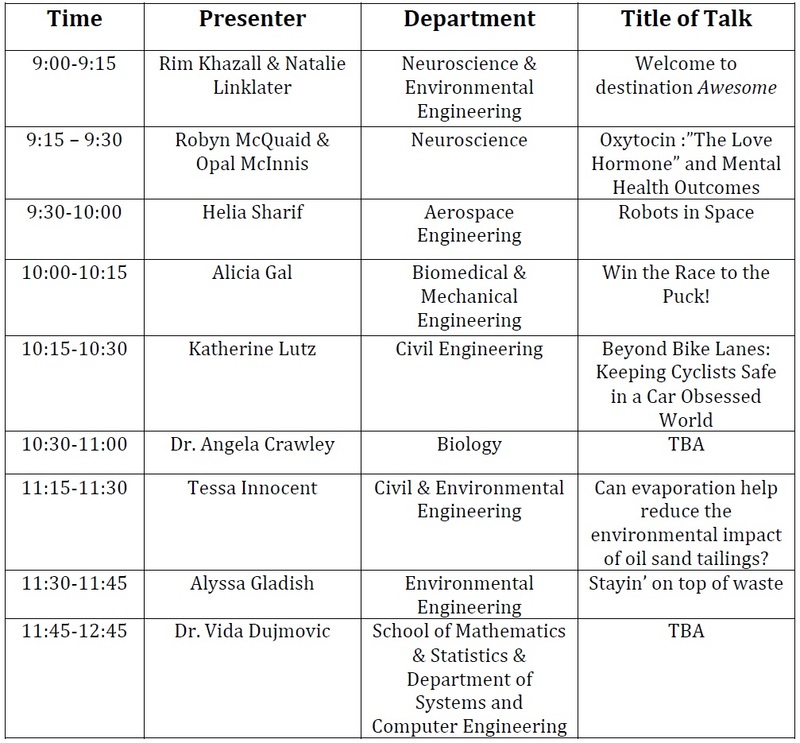 This event aim’s to highlight the diverse research that the female undergraduate, graduate and faculty of Carleton University are actively involved in, in the hopes of inspiring a budding scientist or engineer. The event is open to high school students, undergraduate students and anyone else who might be interested. A schedule of the speakers is soon to come! If you would like to attend, please let us know by filling our our RSVP form by clicking here.